Express Styling with a View! Regal introduced the window express concept in 2006 and it quickly gained widespread acceptance among boaters in love with express styling and performance, and appreciative of the natural cabin light added by the unique window system. The nicely appointed interior offers an appealing blend of cherry flooring, cherry cabinetry, Corian counters and designer fabrics , along with some of the most creative storage ideas we've come across in a boat this size. All said, Regal's 2860 Window Express can comfortably accommodate a couple or a small family. 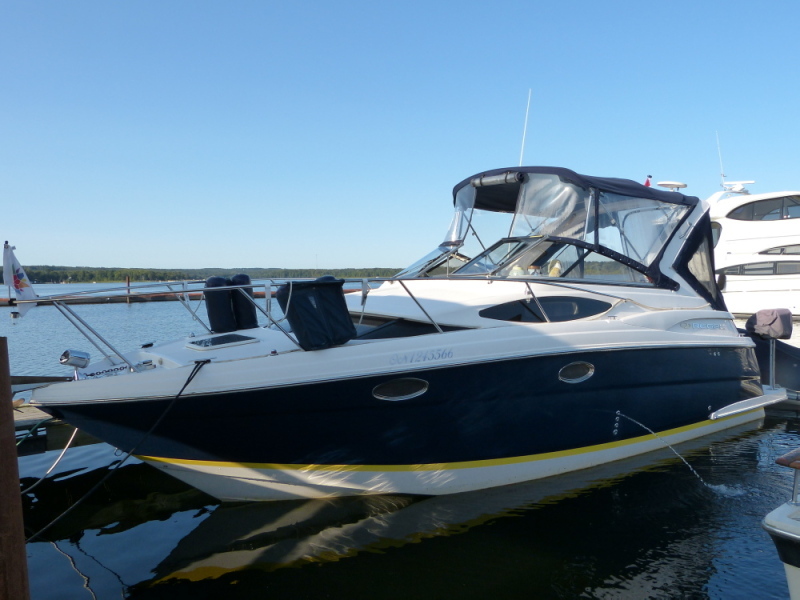 This freshwater Regal 2860 is in excellent condition from stem to stern. She is a pleasure to show and a well worth viewing if you are in the market for a beautifully maintained midrange express with a full suite of cruising amenities.